I spent a bit over two weeks in Mongolia during the summer of 2015. It turned out to be not nearly enough time. I spent roughly one week in the furthest west end of the country, driving around in an unstoppable Russian van on roads that wouldn't even be designated trails in most other countries in the world. The people are among the most welcoming on the planet, and nomadic families are thrilled to offer you a mat on which to sleep in their traditional gers (yurts). The scenery is generally barren, and has something of an apocalyptic vibe to it. But this is not to say it isn't beautiful. Far from it. It just takes more effort to find the magical spots in this wonderful country. The time and money I had set aside for my travels in Mongolia allowed me to see some wonderful, beautiful places, and have some unique experiences. Unfortunately, it didn't allow me to see the Gobi Desert. I suppose if I look at this from a “glass half-full” standpoint, it provides me a good reason to return. But I did want to see something that would give me some idea what life would be like in the Gobi, so I visited the “Mini Gobi” in Khogno Khan Uul Nature Reserve, shown here. 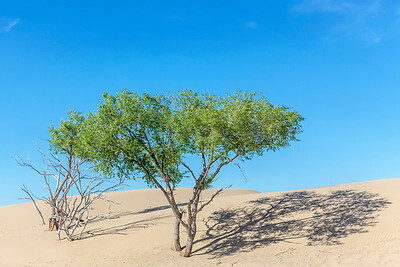 Interestingly, there is enough moisture in the area for trees and shrubs to grow intermittently among the wind-swept dunes. Available in the following sizes (Rectangle B): 12x8, 18x12, 24x16, 30x20, 36x24, 45x30. Several hours west of the capital city of Ulaanbaatar lies Khogno Khan Uul Nature Reserve, which, based on my experience, didn't seem to be nearly as clearly designated or regulated as nature reserves in other countries, but this makes sense when you consider Mongolia's tiny population and lack of wealth. I stayed with a family who lived at the foot of the hills shown in this panorama, and spent an afternoon climbing around their rocky, barren homeland, enjoying the solitude and taking photos. It was truly a beautiful place. Available in the following sizes (Panorama C): 30x10, 36x12, 48x16, 48x16 Triptych (3 x 16x16), 60x20, 60x20 Triptych (3 x 20x20), 72x24, 72x24 Triptych (3 x 24x24), 90x30, 90x30 Triptych (3 x 30x30), 108x36 Triptych (3 x 36x36). 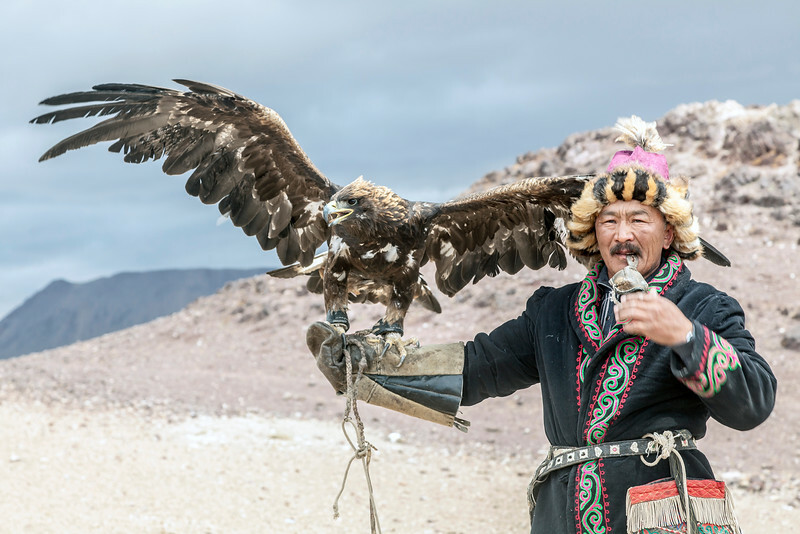 Eagle Master Khairat Khan is a bit of a celebrity in the world of Eagle Hunters. There was a 2005 movie made about his trade, titled “Kiran Over Mongolia,” which means “Golden Eagle Over Mongolia.” Although we were unable to see him fly or hunt with his new eagle – he'd released his old eagle only four days before our arrival – we were able to spend two days with him and learn about his life and the lifestyles of Kazah Eagle Masters. A truly wonderful and sobering experience. Available in the following sizes (Rectangle B): 12x8, 18x12, 24x16, 30x20, 36x24, 45x30.